BOD meeting in the pavilion this Saturday at 10am. All members are welcome. Many thanks to Richard Shaw who completed the installation of the new sink between the bathrooms and the storage. It looks fantastic! Don't be alarmed that the hot water doesn't work; it is connected but shut off to conserve for hand washing in the bathrooms. It can be turned on for use during events or as needed. No trespassing has been requested by the Daly family, who owns a large section of property above and to the east of the Santiago Estates, and borders the bottom of trash mountain. Please do not hike in this area. 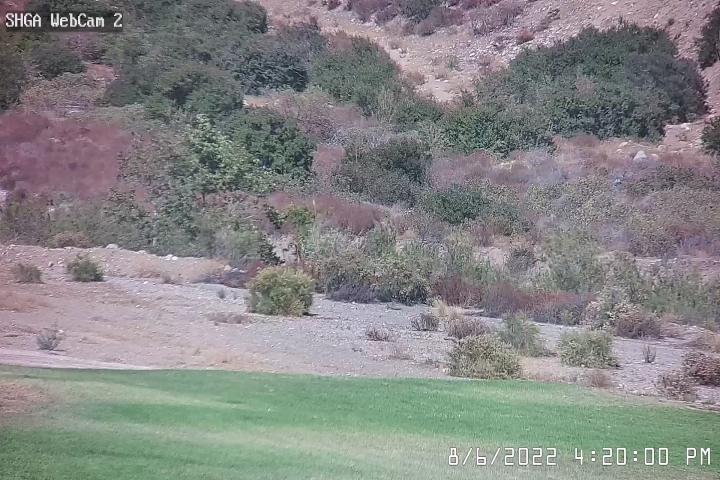 It appears that our hike to launch is well outside of this property and the "bench loop" return path runs along the western border, which appears to be Lime Kiln Canyon. If you need to enter this property for any reason the owners want to be contacted. See Joe Greblo for that phone number if that need arises. Towers Launch remains closed following the Sand Fire, and the Forest Service will keep it that way until at least April 28, 2018. Thank you to retired pilot Fernando Escobar for constructing our new bathroom foundation. Fernando also poured a 65 feet addition to our parking lot curbing. Fernando's construction company was responsible for the installation of our pavilion patio a few years ago. Our new bathrooms are currently under construction at the manufacturer and will be "dropped" onto the foundation in one day once complete. Estimated completion time at this point is less than one month. Joe Greblo has been working with the LA County Fire Department, Air Operations Division, to explain our flight habits and what we do to share the airspace with Camp 9. To see how we're portrayed, and for a bunch of great flying photos, see the presentation here. Of course we must now be diligent in living up to our promises. We can now make payments to the club with Paypal. You can pay club dues, glider storage fees for spaces in the LZ, etc. by using PayPal to send the money to shga.paynow@gmail.com. To ensure that you get credit for the payment, forward your email receipt to Jay at membership@shga.com after you get it and tell him what it's for. We have Lukens and Wilson permits! On February 8, Larry Chamblee signed our permit to launch Mount Lukens (access via Forest Road 2N76 only), and Mount Wilson. This is fantastic progress in opening new sites! But some challenges remain: Lukens road 2N76 is under major contruction and will be impassable for about 5 weeks, and Mt. Wilson has no LZs within a reasonable glide (Victory Park is closed to us). Both are now Hang-4 sites, with possible revision later for Lukens. Brave Hang-4 pilots are now welcome to fly Wilson if they find a place to land, and to fly Lukens when the road becomes passable again. Flight reports would be much appreciated. The Mexican government is fighting police corruption with its Sindicatura program. By printing out and placing a copy of the following sticker in your car window, you'll show that you are aware of Sindicatura. If a corrupt policeman sees the sticker, he'll be more likely to leave you alone, for fear of being reported. (click for full-size printable version). When driving into the LZ at Avenue S, please avoid the gravel drive on the south side of Ave. S, just short of the median. The adjacent homeowner believes that hang glider vehicles are tearing up his road. It would be best to stay well clear of his property, perhaps by staying on Ave. S past the LZ and circling back from the west. Thanks for your courtesy. There are many events throughout the year that are sponsored by SHGA or its members. Below is a brief description of them and general timeframes. Specific dates will be announced on the Home Page. Sylmar Independent Baseball League (SIBL) is a baseball league for children and teenagers. Their ballpark is right next door to our landing zone. Each year at their opening ceremony, one of our members drops the game ball (attached to a parachute). This is, of course, weather permitting. It's a big event for SIBL, and always fun to watch, as the pilot generally lands in one of the unused baseball diamonds. Typically the ball drop happens in the late morning, around 10 or 11 o'clock. The Sylmar Hang Gliding Association celebrates the end of winter and the return of silent soaring above the local mountains. Activities will include a spot landing contest, games for the kids, and a barbecue of course. Qualified pilots are invited to join us for the Winds of a Hurricane Fly-in (pilots should be (min.) high-time H2 with sign-off). We always have a blast! Many pilots have made the trip several times. Most of the pilots are from Sylmar's SHGA and Crestline's CSS. This free trip attracts intermediate and advanced HG/PG pilots and their non-flying companions (yahoos and wusses can stay home). Located 130 miles northeast of Las Vegas, we'll fly Hurricane Ridge and Cedar Mountain. The group usually stays in the Kanarraville campground. Cedar Mountain is a morning site with easy XC flying over wide-open fields. Hurricane Ridge is a 15-mile windy escarpment jutting 400 feet above the desert. With afternoon ridge and thermal lift, you have got to fly over to the Zion River. Sinking out is a no brainer with road along all routes outta there. A 4-wheel drive vehicle isn't needed for either (but is helpful -- and that's what friends are for)! Want someone to share gas? Need a ride? Smart pilots will carpool and share retrieval drivers. Be ready for hot fun in the summertime. Barton Davidson has hosted the Yosemite trip for the Club for over a decade. This is an Advanced-rated site (H-4) and if you are coming on the trip to fly, you must sign up on the Yosemite Hang Gliding Association site YHGA. Many years, floating down the river on rafts has been a prime après-flying attraction. Of course the park offers lots of other family activities including hiking and bike riding -- or just relaxing. For the past few years we have hosted a Beach Party at the Windsports Dockweiler site. Fly a 330 Condor or a Batso off the training hill, snack a little at the barbecue, go for a swim or a bike ride down the beach. Join the pentathalon competition (fly, bike, swim, cheat, rollerblade, run; something like that). It's a great event for your friends and family too. a race for the Dahlsten Cup! Pilots will compete in Fun (single-surface and PG), Sport (kingposted), and Open classes. Because GPS units will be required for scoring, please bring extras if you have them, or arrange to borrow a GPS if you need one. There will also be a chili cook-off and a barbecue, of course! Please join us for an evening of fun and frolic as we light-heartedly roast one of our own accomplished pilots and remind them of ALL their accomplishments. Festivities will include a potluck dinner, entertainment, Club meeting, and the annual Pelican Roast. Volunteers may begin celebrating an hour earlier by helping with setup.